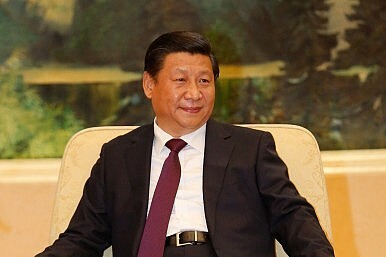 From a podium overlooking Tiananmen Square, Chinese President Xi Jinping, prior to a military parade commemorating the 70th anniversary of Japan’s surrender in China, delivered a speech filled with harsh anti-Japanese rhetoric vicariously targeting the current Japanese government under Prime Minister Shinzo Abe. “The Chinese People’s War of Resistance Against Japanese Aggression and the World Anti-Fascist War were a decisive battle between justice and evil, between light and darkness, and between progress and reaction,” Xi emphatically noted. In that devastating war, the Chinese People’s War of Resistance Against Japanese Aggression started the earliest and lasted the longest. In defiance of aggression, the unyielding Chinese people fought gallantly and finally won total victory against the Japanese militarist aggressors, thus preserving China’s 5,000-year-old civilization and upholding the cause of peace of mankind. This great triumph crushed the plot of the Japanese militarists to colonize and enslave China and put an end to China’s national humiliation of suffering successive defeats at the hands of foreign aggressors in modern times. Japan had previously also criticized the attendance of U.N. General-Secretary Ban Ki-moon’s at today’s military parade, calling it “disappointing” while demanding that “that the United Nations keep a neutral position,” according to Channel News Asia. Ban rejected this criticism by stating that “China’s contribution and sacrifice during the Second World War is very much recognized, [and China] is appreciated for all such sufferings, and sympathized [with] by the world’s people,” the Guardian reported.